Since I’m always crunched for time I like having a one stop shop for visual inspiration and I’ve been hooked on Pinterest ever since I joined. 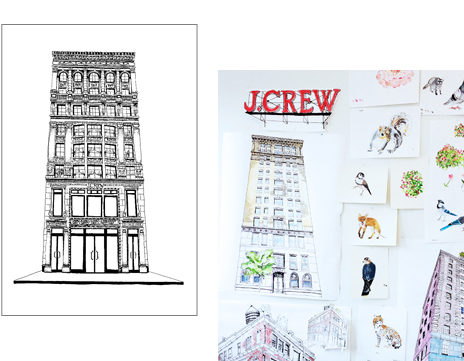 It’s perfect for us visual people, and it’s actually a homework assignment for my styling students, for creating mood boards. I follow mostly fashion folk, DIY, and a few foodie boards, but the one visual merchandising board I follow is by Alex Leyva. 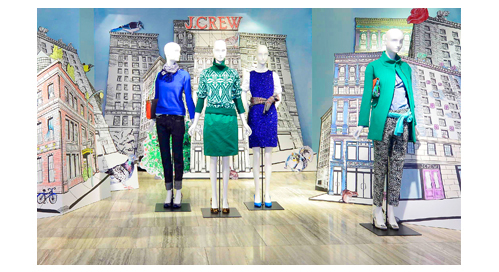 She never fails to pin great photos of windows or in-store displays that are inspiring and different. Her fashion editorial board is very unique too. If you have a Pinterest account I would look her up and send me links to your boards too! 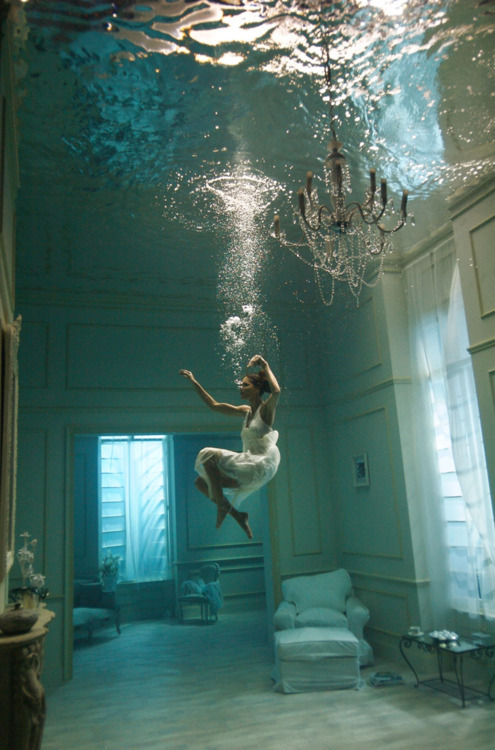 Do you think they filled an entire room with water to get this shot? I’m finally home and back at work after a much-needed vacation. 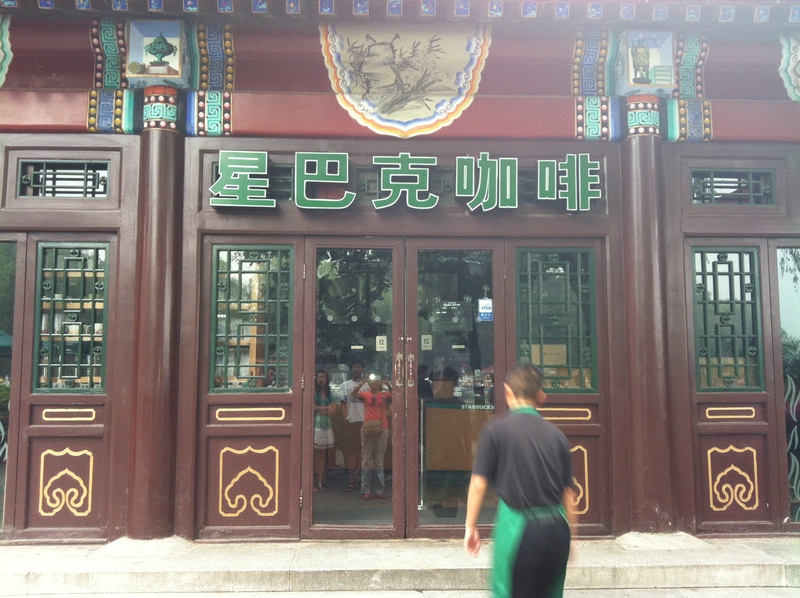 I went to China for two weeks and had the wonderful opportunity to visit a variety of cities: Tianjin, Beijing, Shanghai, Suzhou, Wuxi, Nanjing, Hangzhou, Guangzhou, and Hong Kong. 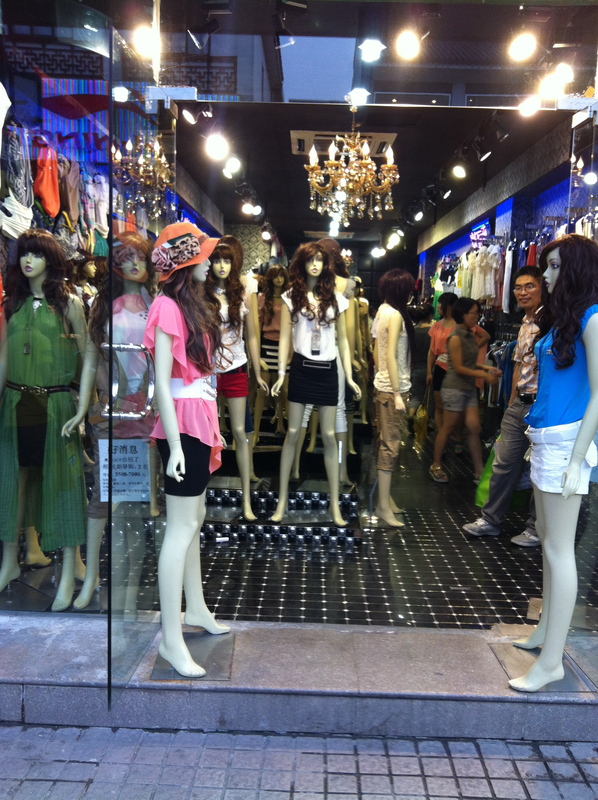 I actually found the best shopping in Suzhou, and Shanghai, and not in Hong Kong as everyone was telling me, but I think it depends on what you are looking for. 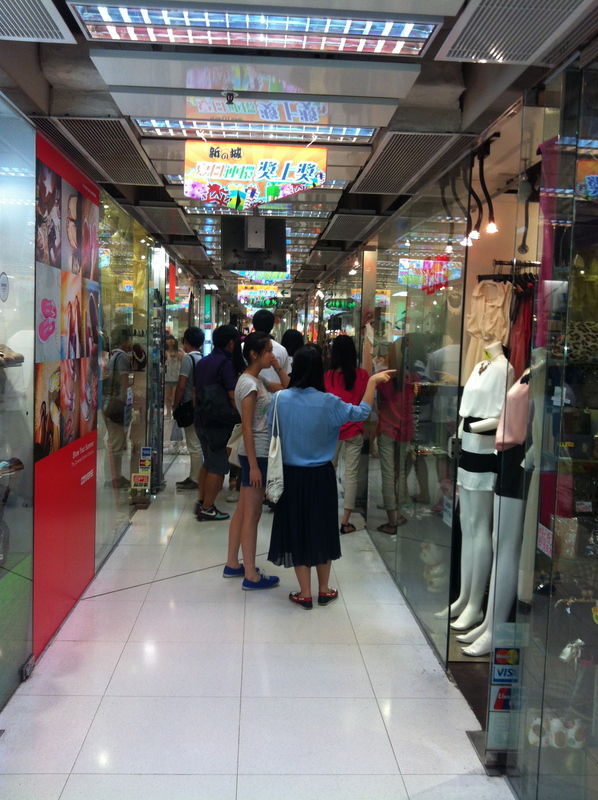 I came back with a lot of silk and pearls, Hong Kong stores have a lot of what I can find here in the states. China was fun, the people were so friendly, and there’s a lot to explore. If you ever get the chance to visit I suggest you take it, just don’t go in the summer. It was 90°F and 95% humidity (no joke!) . 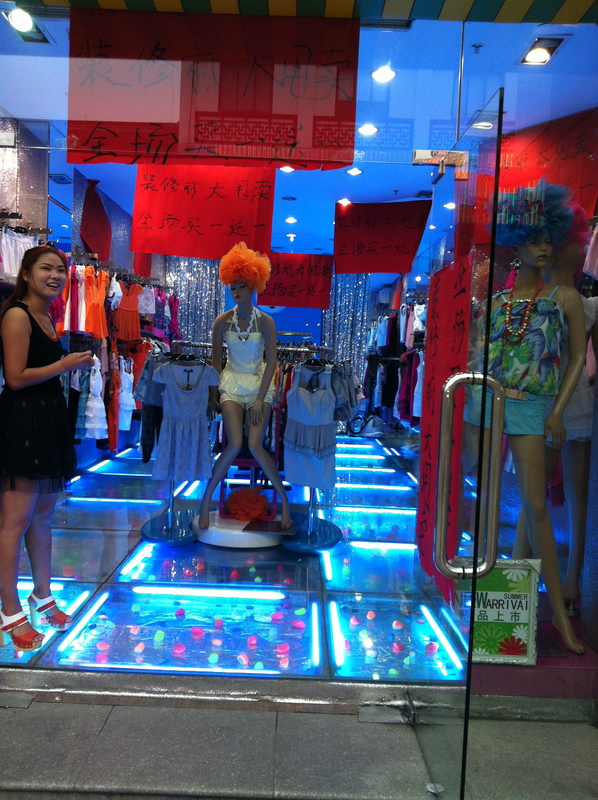 Although my trip was an immersion trip into the Chinese culture, I did find a little time to take some pictures of some their stores I found interesting when it came to visual merchandising. 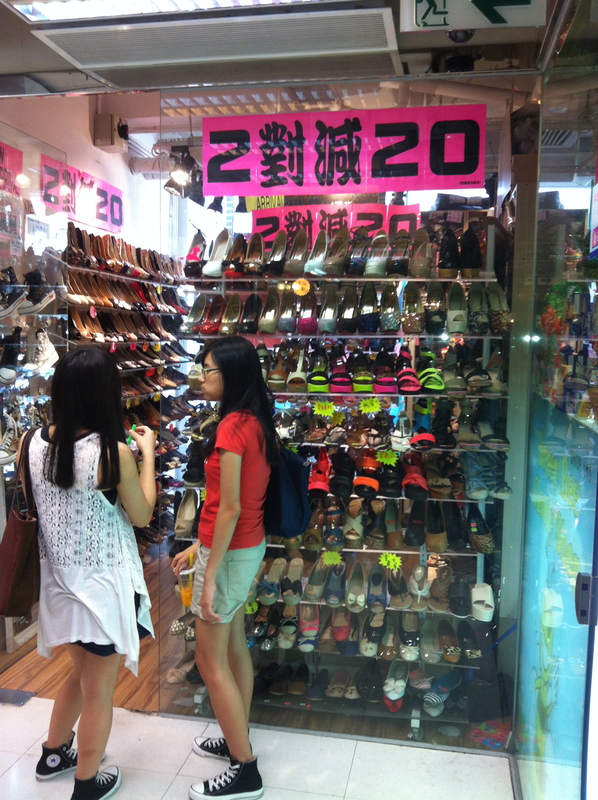 Both mainland China and Hong Kong are a mix of very modern stores that use the principles of merchandising and some stores have that flea market feel even though they are selling contemporary items. 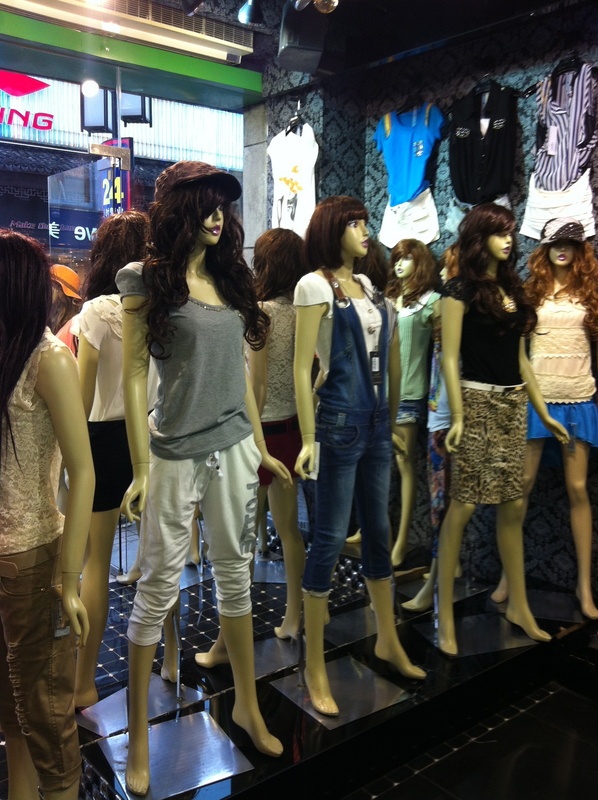 As I walked by I couldn’t believe how many mannequins they had in the front window, so I went in…. 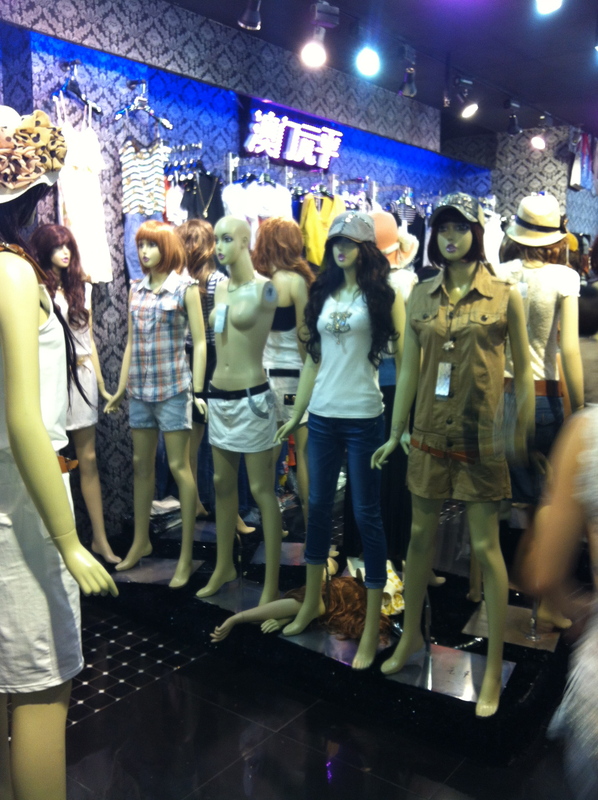 It wasn’t just the front of the store, but the entire store was “merchandised” with mannequins. 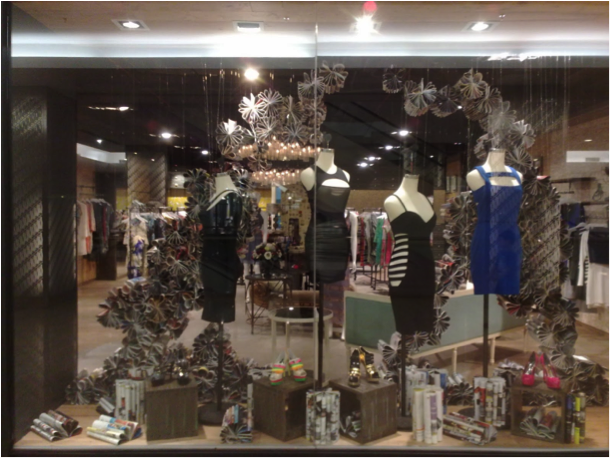 They used no floor fixtures, it made the store feel very crowded and difficult to find what you liked on the mannequin. 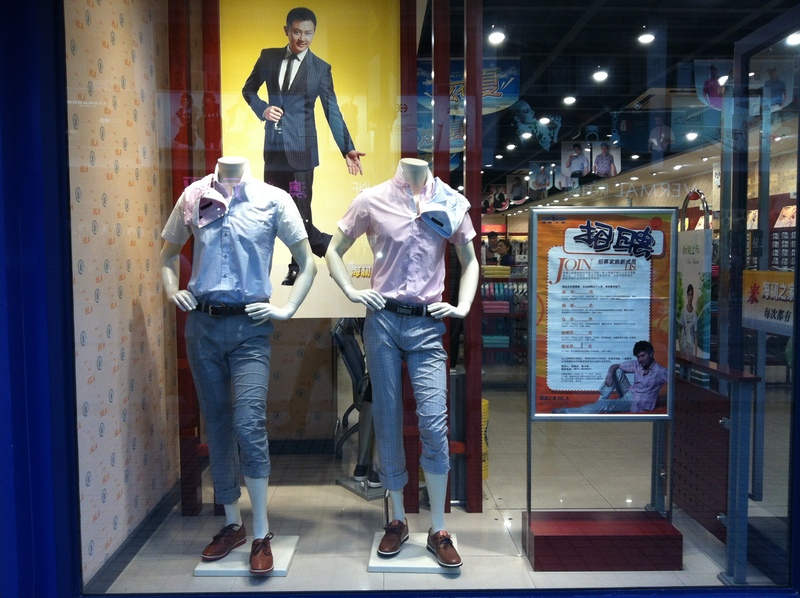 Their men’s store a few doors down looked the same! 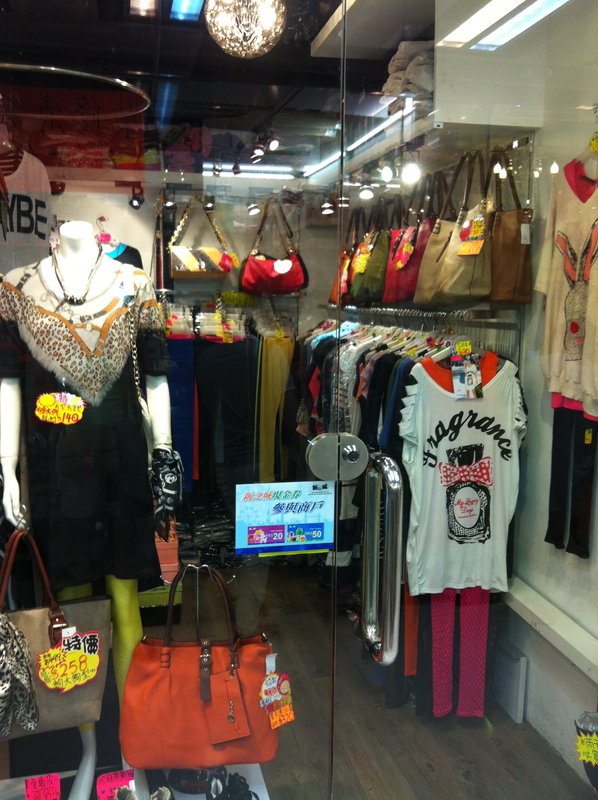 Here’s a different store in the same outdoor mall. 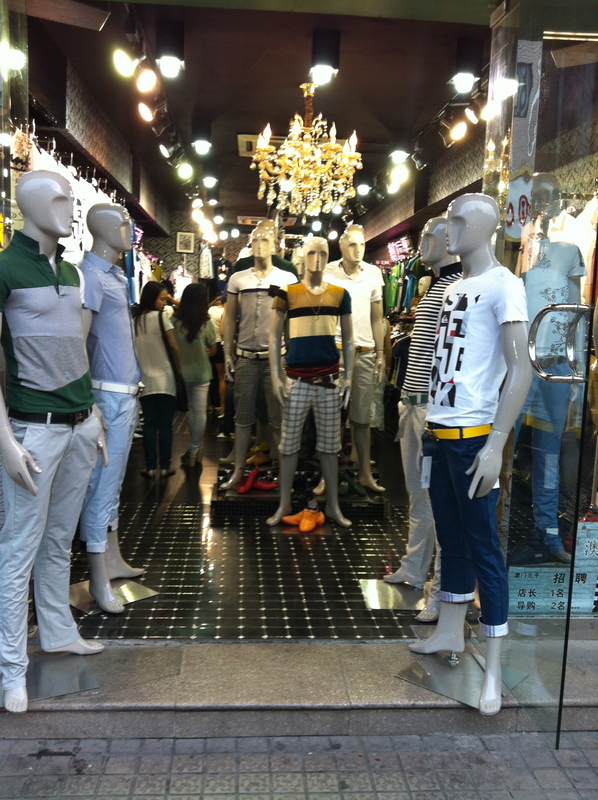 Besides the awful styling, it’s the position of these male mannequins that strike me as odd. Men typically don’t stand like this! 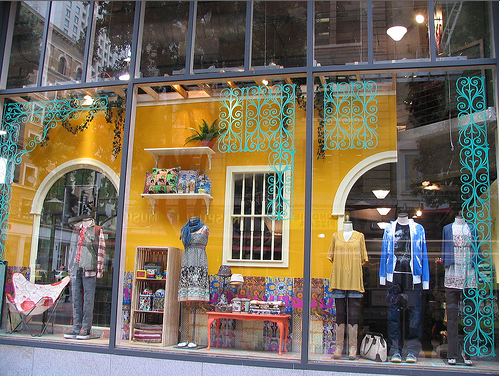 This was a cute and fun store,and it looked good! Cheerful employees add to the ambience. I will never forget this wonderful experience and I am so grateful I got the chance! 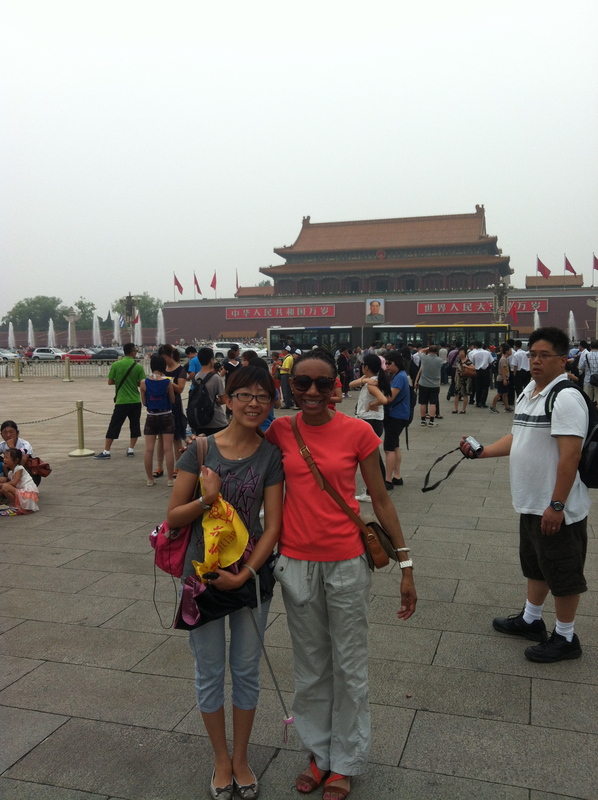 Here’s me with my guide Lala in Beijing in Tian’anmen Square. The entrance to the Forbidden City is behind us. Dear readers, below is a question sent to me from a fellow visual merchandiser, with a tricky situation. I decided to post it here while I ponder my own response. Please post your comments or advice on how a fellow reader can solve her dilemma. Thanks! I have recently moved to the southern hemisphere AND very recently landed my first VM role having previously been a buyer for a department store chain in London. I have been reading your blog for the last few weeks and have found it really useful in helping to prepare me for my new role. One thing that’s been on my mind since starting my new career (and new life) in New Zealand is Christmas! It’s in the middle of Summer here and I just can’t think how to portray strong Christmas windows and in store display when everything that I would normally connect with Christmas (snow flakes and icicles, cosying up by roaring log fires, wrapping up warm in coats and gloves and scarves) won’t be relevant here. 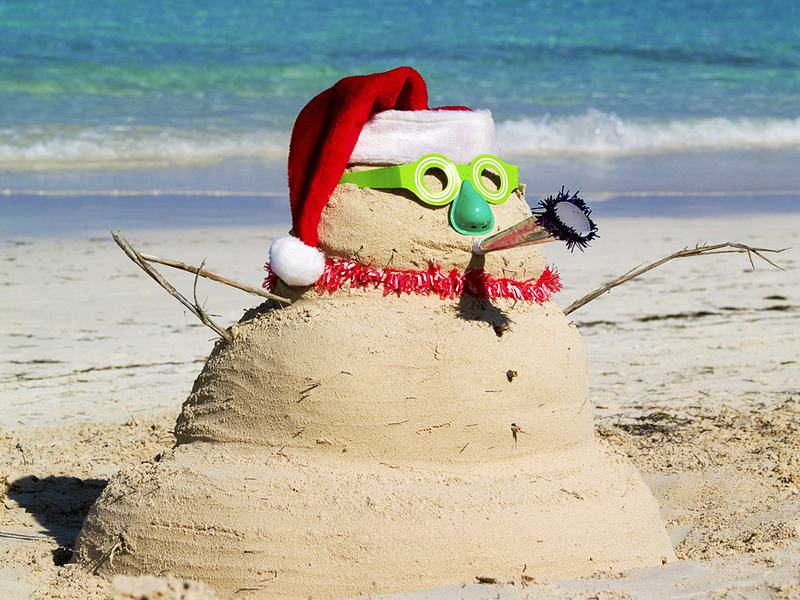 Do you have any tips or suggestions on pulling together strong themes and display for Christmas in a hot climate? I will say – the first thing that comes to mind is does it have to be a “wintry” Christmas? Why not do “fun in the sun” as a Christmas theme. I know many folks who travel to the islands, mainly Hawaii during Christmas, trying to escape the cold. I need to think about this some more, but I and Emily would love to hear your suggestions. A few weeks ago there was a homework assignment on creating your inspiration file. Many students pulled tearsheets from magazines, a few did show me on their iPads, things they have found in the virtual world. This got me thinking….I wonder if my students even know of some of the websites that you can”bookmark” things that pique your interest. I remember asking my class about Polyvore and only a few students raised their hands! There are a few websites out that allow you to post anything and everything you find on the web in a space you create. For instance, there’s Pinterest which has become very popular! You “pin” what you like to your boards. You can organize your boards by topic, depending on what you are collecting: recipes, home decor, fashion, cars, art, architecture, DIY, you get my drift. 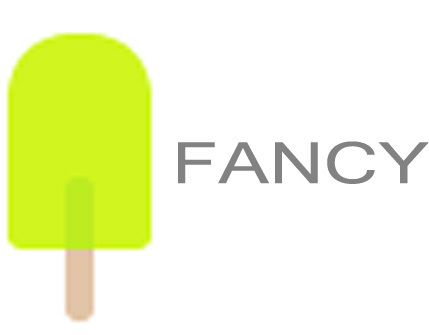 Like Pinterest, there’s Fancy. Which could best be explained as the high-end version of Pinterest. Most people “fancy” things that are considered luxury items. There’s also We ♥ It. 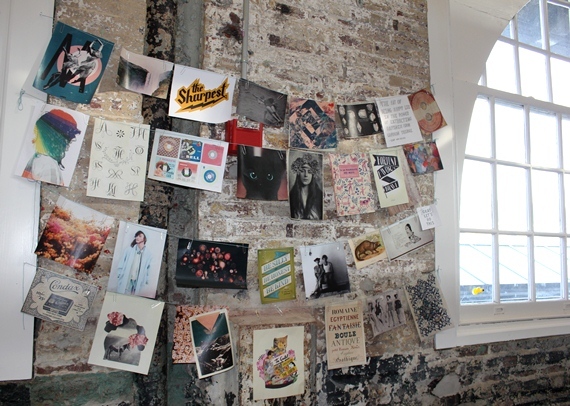 Another place to create your own inspiration gallery. Someone sent me a link to follow them on Currently Obsessed, this looks more like it’s strictly fashion, but still fun to peruse. I’m sure there are many more sites like these out there but these are the ones I’m most familiar with, as I’m just now starting to use them myself ! If you use of any these sites let me know in the comments and I will follow you! This week the students had an inspiration assignment. The purpose of the assignment was to mark the beginnings of an inspiration file. Some of us catalog items in actual files as Kaitlin K, showed me in class; or in notebooks they’ve been collecting since their teens, as Anthropologie intern Brianna L, showed me – and many of us just pull tearsheets from magazines and pin-up on an inspiration board! 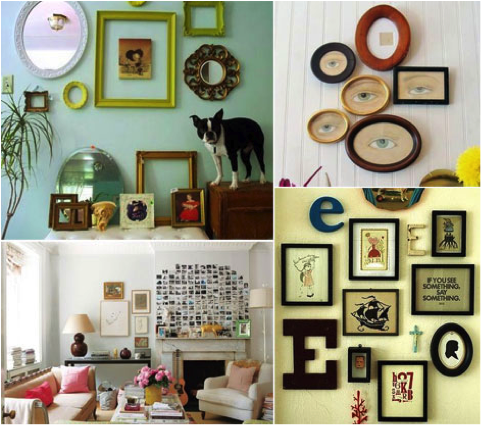 I like the way the frames are displayed here—I’ve seen this technique before & I love the randomness and uniqueness that is involved—never boring. For our class wall display project, music is the theme, so maybe a different picture could be featured in each frame…? I love the 3D effect that origami has – so simple yet chic at the same time, an art that isn’t really appreciated or used enough over here in the states. 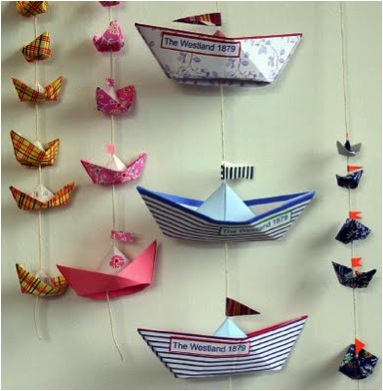 This could be used as a quick and easy way to bring life and shape to a display. I thought this was a really cool display & we also just so happen to have holiday as our theme for when we use the table for our class project. 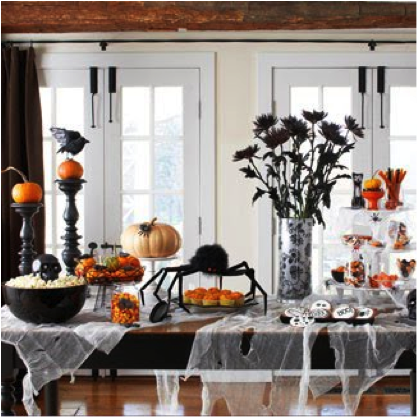 I like how consistent and representative the theme of Halloween was used here—it’s scary yet inviting at the same time and immediately draws you in. I’ve done a window display using books before, where we folded/rolled the pages to make these cool shapes out of the books—and I like how they used the same effect with magazines—I have a ton of magazines that could use a purpose rather than just collecting dust in piles around the house… but I also love their sense of balance with it, and how they completely created this whole world with these magazines—and its GREEN! I was inspired by these images simply based on the fact that for our GREEN theme-class project, we are required to use the shelving unit – and it only makes sense to use some sort of product that actually belongs on a shelf that also requires some sort of green set up to represent what it stands for. Thanks Shelby S. for this write-up! Where do you look for inspiration, please share your ideas! Last week I gave out an “inspiration file” assignment. Students are tasked with creating a scrapbook or collage of tearsheets that they find inspirational and could be turned into a display. Creating collages is one of my most favorite things to do and I swear I could waste countless hours making them! When I was younger I used to wall paper my bedroom with fashion tearsheets. My father hated it because the thumbtacks left holes in the walls, and the tape pulled the paint off! Now that I’m older with a house to care for myself – I see what he means. 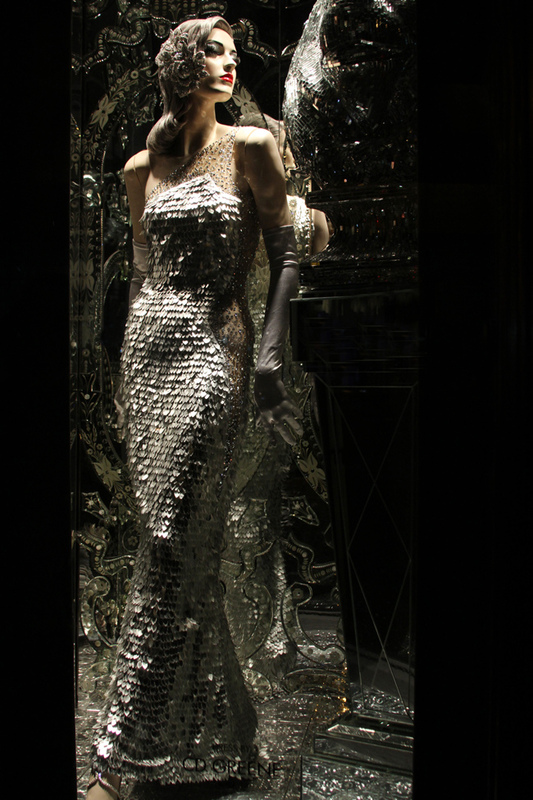 Here’s another new blog I’m addicted to perusing: Modelizing: the art of window shopping. What I like about Julia Chesky’s site is that there’s very little text with lots of great photos, and as visual merchandisers we all know a picture is worth a thousand words! If she does add commentary to her posting, then it’s her honest opinion on whether she likes it or not! 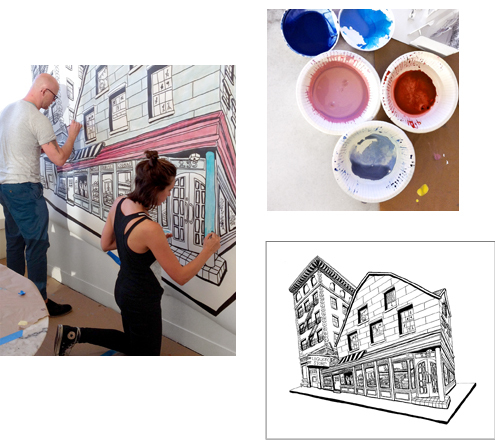 She takes all the photos herself of storefronts in NYC. Most of her shots are up close and show the details of the display. Give yourself lots of time to browse through her site, I promise you won’t be disappointed! I like how these photographs show you how to display shoes on a wall with a few lineal pieces of molding. I would suggest you use picture rail molding, since it doesn’t sit flat to the wall. Picture rail molding is also designed to have items hung from it. Stay away from door and window casing. 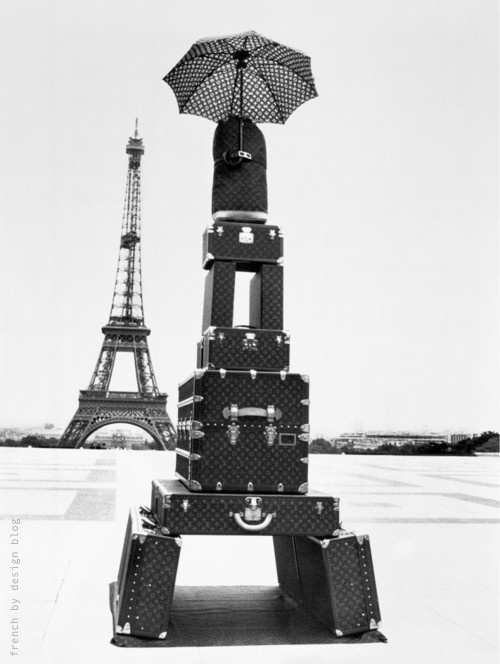 The iconic French brand displayed as the iconic French monument!